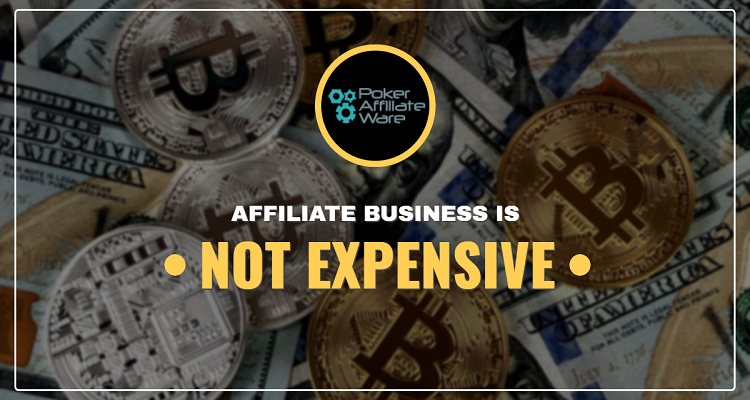 Whether you're looking for a way to earn something alongside your regular income or you want a full-fledged business that will help you make a living, the affiliate model is definitely worth looking into. 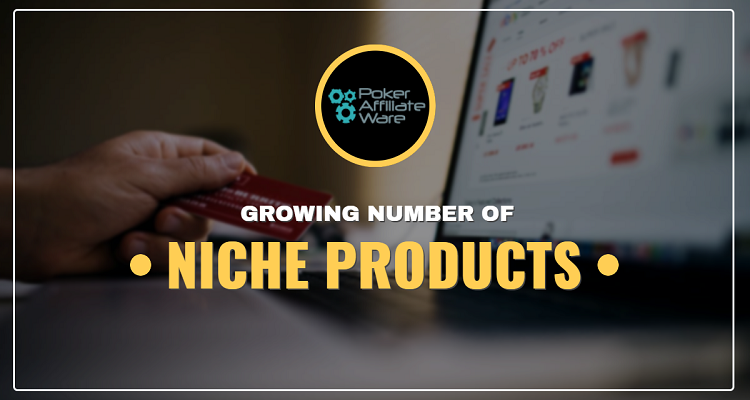 With so many different industries now offering affiliate options, you can easily find a niche you're already familiar with so that you'll have a good head start. Furthermore, with the internet being what it is today, an affiliate business doesn't just give you almost limitless earning potential; it also provides you with much more flexibility in terms of your working hours and gives you the kind of freedom you're unlikely to find with most other occupations. 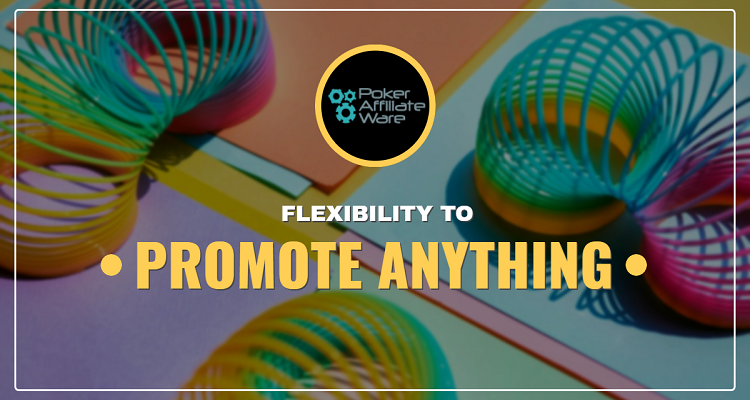 And, while affiliate models have been around for a while, the year 2019 is just the right time to get involved (despite of what you may think at first). The market isn't saturated – far from it – and there are plenty of opportunities out there, if you know where to look. So, without further ado, here's our list of top 10 reasons to start your affiliate business in 2019. The success of the affiliate model has led many markets and business branches to warm up to the idea. So, you're no longer limited as to what you can get involved with. In 2019, you can find a company or a business from a branch or industry that's close to you and easily get started with them. 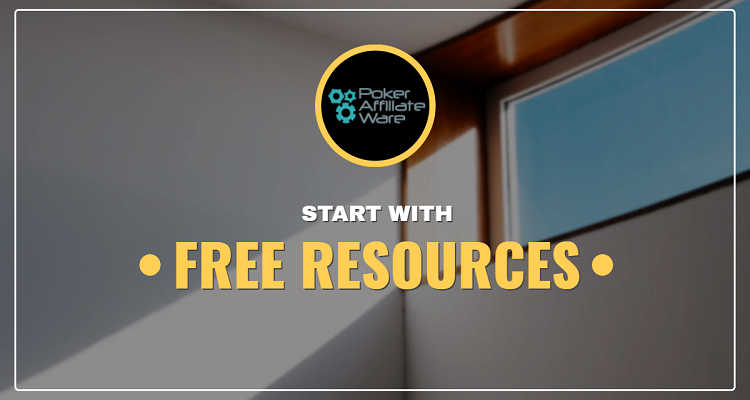 This significantly cuts the learning curve, meaning you'll get to start making money much faster.The first thing first, let’s explain the concept of poker affiliation and what it stands for. 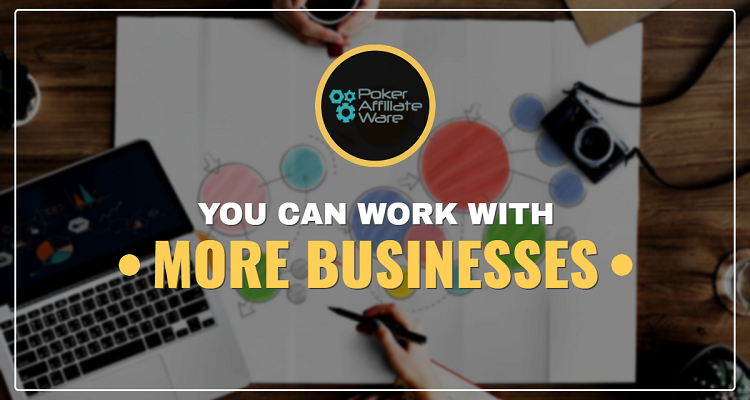 Like the name suggests, it is a business model where a person operates as an “affiliate” or partner of a poker room to help them bring in more players. 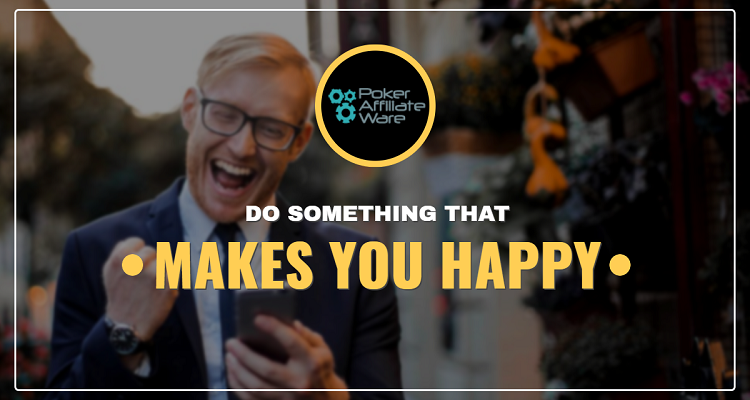 The iGaming industry, poker and otherwise, has been operating primarily on this model for a couple of decades now. In this day and age, you can get everything you need to get started for a fairly low price. You can even set up your own website at almost no cost if you’re willing to spend a little time learning some new skills. Technical things are no longer as “technical” so you’re covered. Furthermore, you can easily gain access to many great artists, writers, and designers who can help you with any content you need at a reasonable price. In the affiliate business, you’re your own boss! With social networks and other resources being what they are in this day and age, the only real limit to your success is how much effort you’re willing to put towards building your young business into something truly awesome. If you love what you’re doing and are willing to put in the hours, you can easily create a big business without huge resources (other than your time, of course). With so many affiliate opportunities out there, you can get involved with something that truly speaks to your passion. You don’t have to sell makeup or home appliances anymore. Find an area that you really love and then find out about affiliate opportunities in that particular sector. That way, you’ll enjoy every moment of your work and it won’t even feel like work. Once you get your affiliate business off the ground, you’ll start enjoying all the benefits that come with it. The freedom to travel the world using the money from your business and still doing the work no matter where you are is something you won’t find with many regular jobs. As long as you have your phone and your laptop with you, you’ll be able to do the daily tasks with ease even if you’re thousands of miles away from home. When you master the basic foundations of affiliation within one industry, it will be much easier to make the switch if there is ever a need for it. For example, the service or the product you’re selling is no longer as “hot” – you will be able to easily move onto something else, without losing that much time or money. Of course, this isn’t to say that there won’t be problems if it comes to this, but the level of flexibility is definitely much greater than with most other jobs. 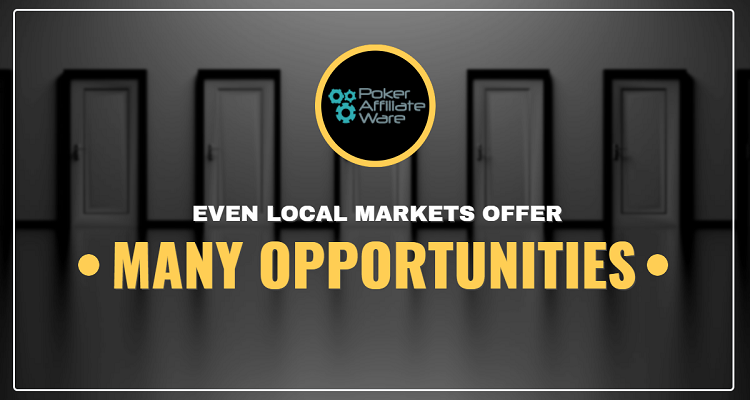 In 2019, you’ll find many great opportunities in your local markets. This may be due to legislation changes (especially in industries such as online gambling and online poker) or any other reason. The fact of the matter is, local markets are becoming increasingly important. While it may seem that you need to go global to succeed in this day and age, this isn’t necessarily true. The market is often big enough where you live as long as you get your foot in the door early enough and beat the competition. Making an affiliate business in your local language, targeting local customers may just be a great idea. As an affiliate, it is crucial for you to be able to get your payments promptly and without issues. 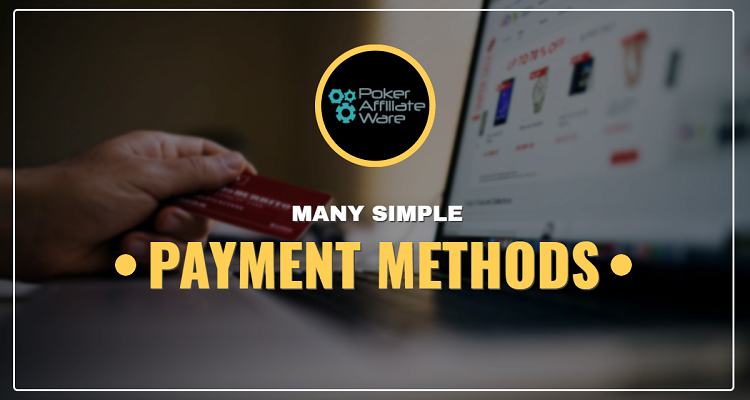 In 2019, there are so many payment methods available (including cryptocurrencies) that you’ll have no problems setting up a channel that really works for you. So, the money flow will be just right and as long as you’re a part of a good affiliate scheme, you won’t have any issues getting your hard-earned cash. If you don’t feel like going down the beaten path, you can look into some more niche products and services. The number of these is growing by a day and some of them are bound to become huge. If you have the right nose for what might be the next big thing and some imagination to help it get there, you have an option of backing a great thing that no one even knows about. Finally, thanks to the fact affiliate marketing has been around for so long, you will be able to find many great resources to help you get off the ground. Many of these come free of charge so, once again, you’ll just have to invest some of your time. Be careful about any paid resources, though, as although some of them work, many of them just recycle the free stuff and charge you for no new knowledge whatsoever. 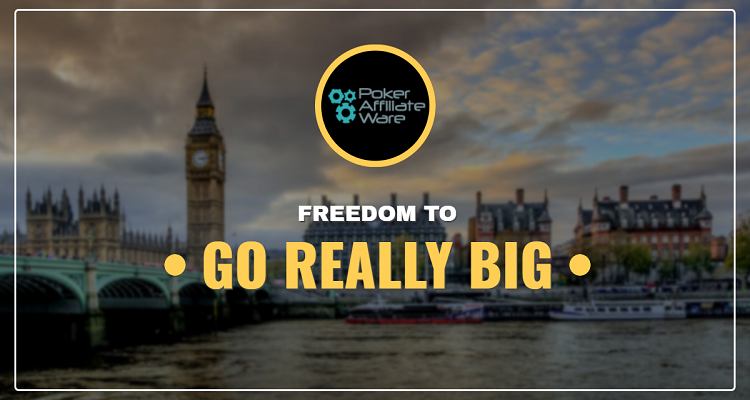 You can start your affiliate business with PokerAffiliateWare right now. It's completely free and it takes less then a minute to sign up. If you have any questions, contact us and we'll help you get started.